Transgender songwriter and vocalist Baby Dee is associated with Antony & The Johnsons, Will Oldham, Current 93 and Marc Almond, with whom there was a recent tour. This double disc collection compiles the first two Baby Dee albums and singles, demonstrating an excellent songwriter and a talented pianist. 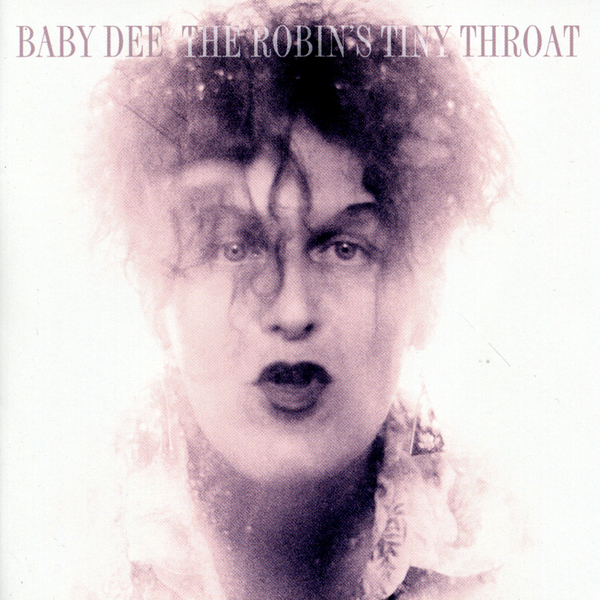 The comparisons to Antony are inevitable given the 'torch song' feel to this music - not to mention the tremulous falsetto voice - but it would be grossly unfair to overlook Baby Dee's merits because of that superficial similarity. There's a far more open, more experimental approach to these songs, with extended durations and a slightly creepy backdrop of birdsong cropping up throughout the collection. It's hard to articulate the kind of atmosphere that presides over these recordings, but there are times when you'll think your listening to some lonely, mournful Miss Havisham character. In any case, The Robin's Tiny Throat is an absolutely engrossing listen.